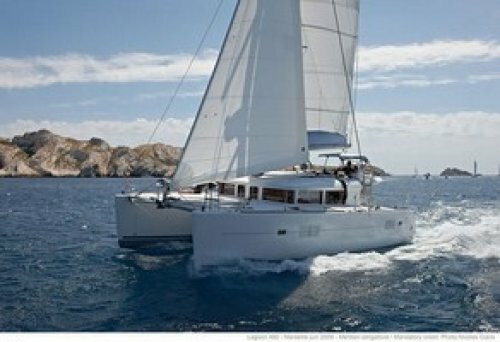 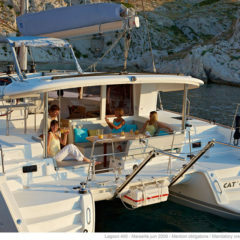 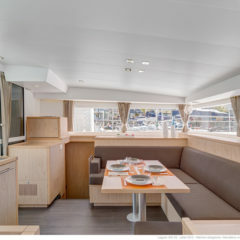 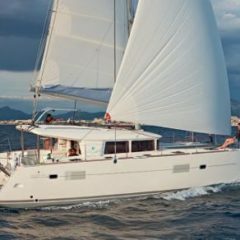  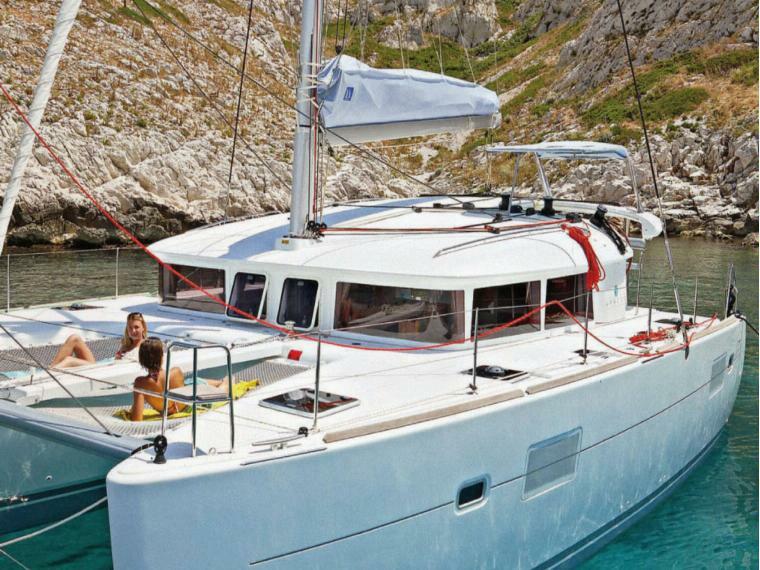 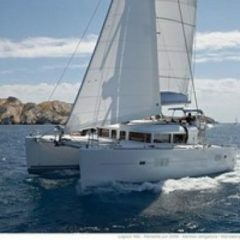 Charter this catamaran for the perfect vacation in Ibiza and Formentera. 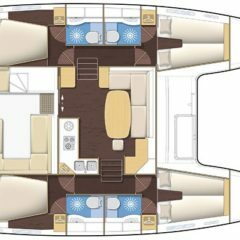 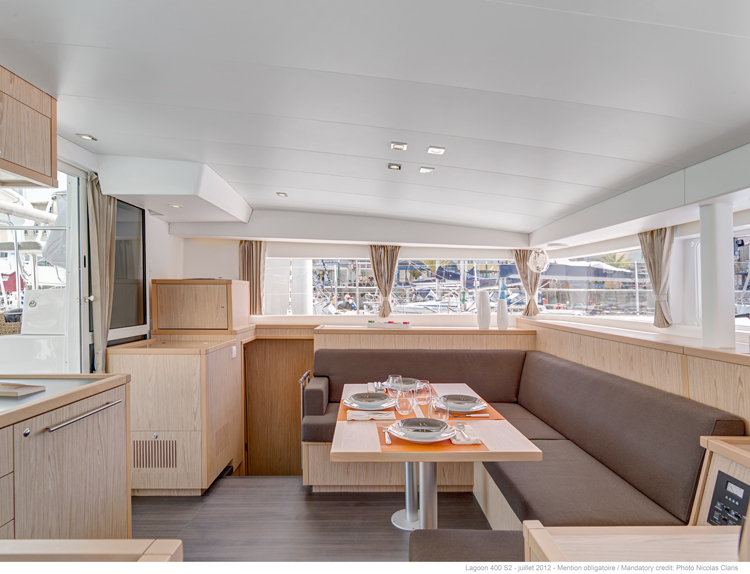 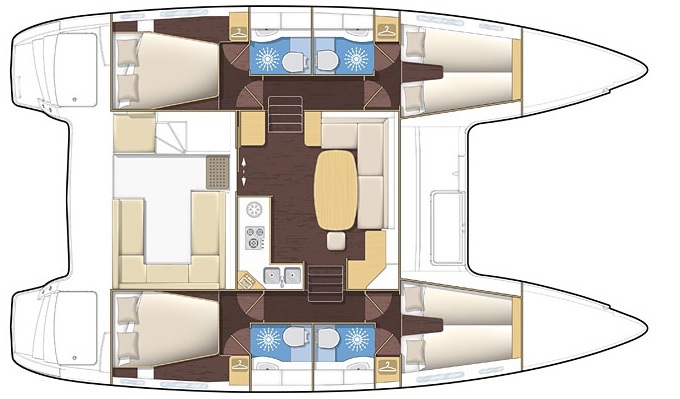 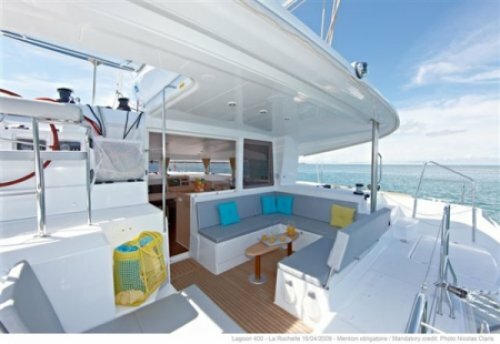 Our Lagoon 400 "Ocean Blue", has 4 spacious double cabins, each with their own head, and two bow single berths. 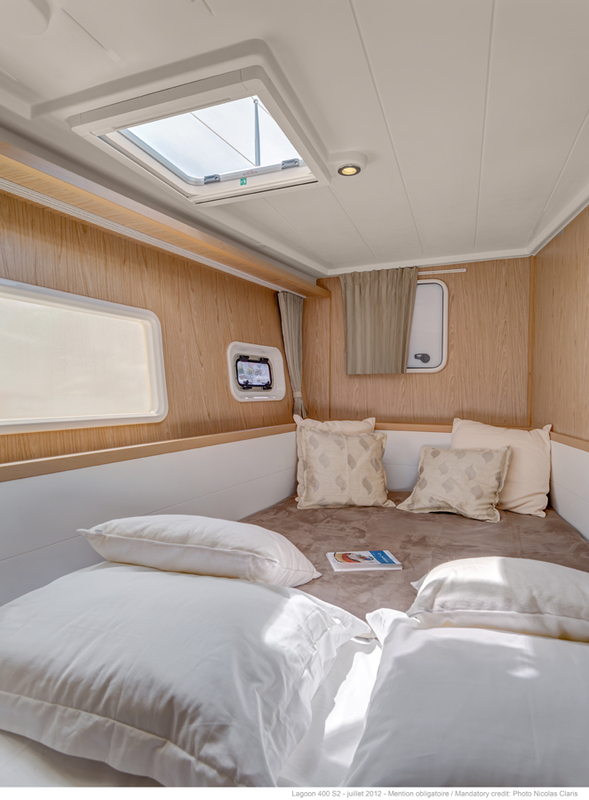 The saloon converts into a bed so that the máximum capacity is 12 people. 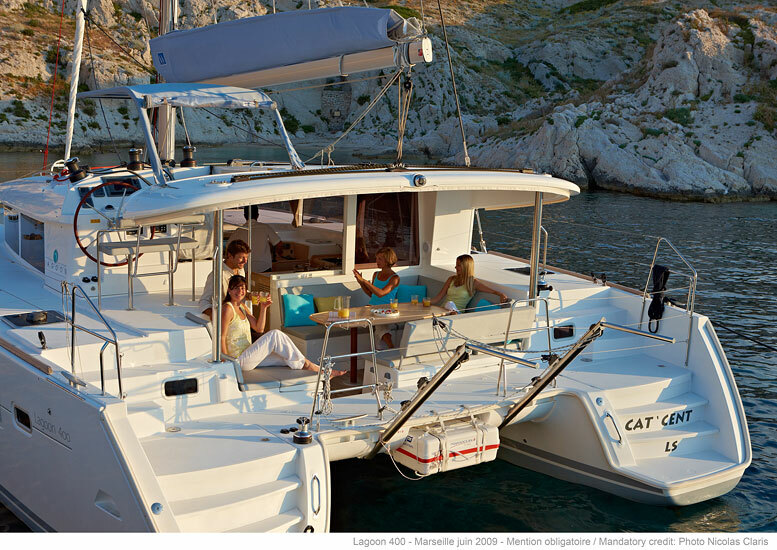 This Lagoon is great while under sail. 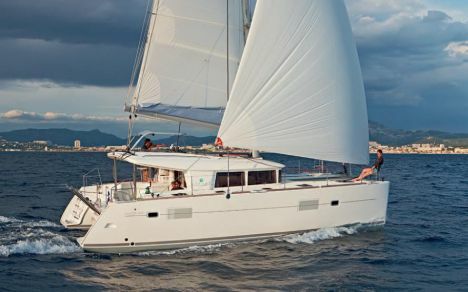 With or without our expert skippers, who love sailing, you will enjoy gliding along, powered only by the wind. 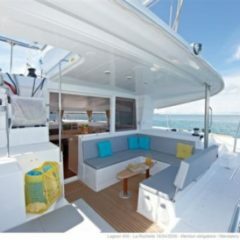 You can charter her bareboat as well and enjoy sailing in these clear blue waters. 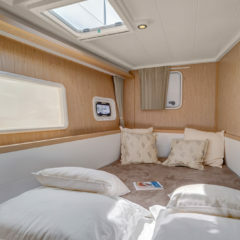 A large and open cockpit allows you to enjoy your time outside, and the grand saloon can accomodate everyone, should the weather be too hot (or too cold!). 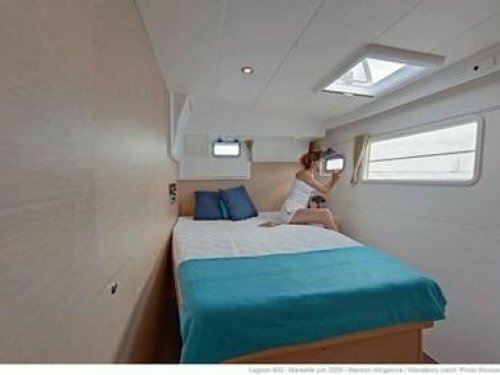 A fully equipped galley allows you to cook aboard, but if you decide to go ashore, our expert skipper will point you to the best "chiringuitos" and beach bars, and of course take you in with the RIB hardbottom dinghy.